As part of its economic development strategy and drive to enhance the city’s attractiveness, Lyon Métropole has made internationalization a priority. 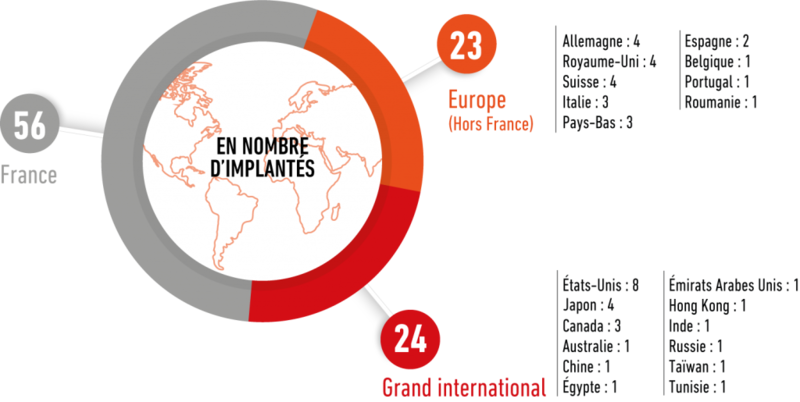 This is why the Opale association has been asked to perform a detailed study to determine Lyon’s level of internationalization in 2017. Lyon France’s 4th most international city. 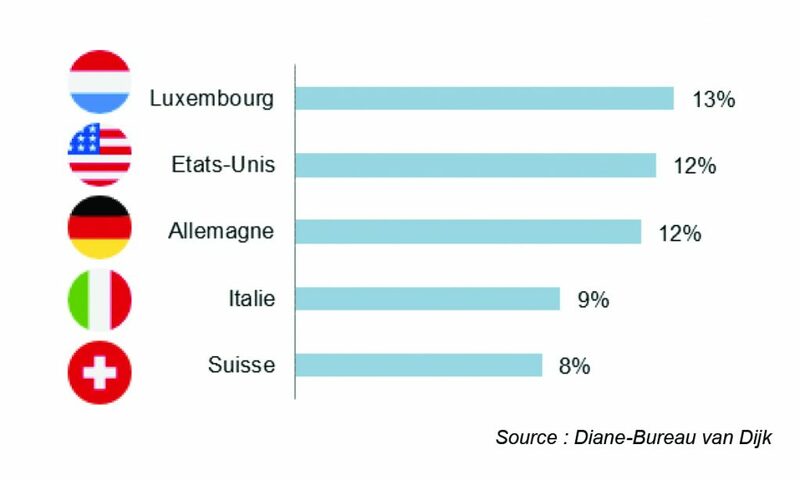 In 2017, Lyon was ranked France’s 4th most international city, with 17% foreign capital companies. Paris is in first position, with 26%, and Lille and Strasbourg with 25%. The rest are positioned between 10 and 14%. Foreign capital invested in the Lyon area comes from twenty different countries. The top five represent 54 % of foreign capital companies. Luxembourg is in first position, then the United States and Germany, Italy, and Switzerland. The CCI of the Auvergne-Rhône-Alpes region has listed 388 establishments with over 20 employees and with a foreign capital investment. These establishments employed 58,000 people in the city in 2017. The United-States is in first position, with 24% of foreign capital establishments, representing 20% of employees, and Germany was in second position with 16% of foreign capital establishments and 17% of jobs. For the most part, companies in the Lyon area develop in the European market. Sales to EU countries between 2014 and 2016 correspond to 63% of total export. The most representative export sectors are wholesale and industry, with chemicals, transport and mechanical equipment and pharmacy. Products from the chemicals sector represent 25% of export. In 2017, Aderly supported no less than 103 projects making it possible to create or maintain 2160 jobs over the next 3 years. Of these projects, 46% are international. On average, 38 international projects in the Lyon area every year. Out of all projects in 2017, International companies represented 38% of projects in the Cleantech sector, and 47% in the tertiary sector. The development of business tourism in the Lyon area. Lyon Saint-Exupéry international airport is the France’s 4th largest airport in terms of traffic. In 2017, this traffic increased by 7.7%, compared with the average increase across the EU of 8.5%. The 12.5 % increase in international passengers consolidates the city’s ambition to develop its international reach. Lyon is one of the rare non-capital cities in the top 15 cities list to host international conferences (UIA survey). Business tourism in Lyon continues to attract more international visitors thanks to the Palais des Congrès (3rd largest conference centre in France) and Euroexpo (3rd largest exhibition venue in France) and the Amphitheatre. Lyon ranks for 3rd for the number of diplomatic entities, after Paris and Marseille, with 67 consulates, the International Agency for Research on Cancer (IARC), the WHO, Interpol and Handicap International.